Dubai: After a two year gap, more property owners in Dubai are willing to take on developers and whatever incentive or offplan payment plan they come up with. This is being reflected in the gradual increase in property listings made by individual owners, and especially those with high-end homes on their hands. And the deals and listings are getting bigger. Just in the last two days, two Emirates Hills villas (with a built-up area of 30,000 square feet plus) have been placed on the market with asking prices at Dh130 million, according to data from Luxhabitat. In late June, another villa (46,000 square feet of built-up) with a frond location on the Palm was listed for Dh219 million. A unit at the Address Residences in the Downtown had the owner asking for Dh200 million. And the sales are happening too. It was on July 24 that a Palm villa was sold for Dh61 million, and the costliest revealed deal in the city this year, according to Luxhabitat. Another, for a Bulgari-branded home at Jumeira Bay fetched Dh60 million. “Prices do seem firm now, with a consistency across the market of well-priced — but limited — listings,” said Sally Ann Ghai, Associate Director at Luxhabitat. “We enter September with a sustained flurry of interest by seemingly ready buyers who are ready to call it. On the sellers’ part too, there is a realisation their time to make that move is now. “For many relocating European sellers, in particular, the beneficial exchange rate to their home currency has allowed them to sustain a lower sales price than they previously thought they could tolerate,” said Ghai. Plus, buyers seem to have finally had enough of developers pushing offplan with extended post-handover plans. There were only a handful of sellout offplan launches in the year-to-date, which also indicates that more buyers are preferring ready properties than wait three to five years for their offplan handovers. Even when these offplan sales have five- or seven-year repayment terms. According to George Azar, Chairman of Gulf Sotheby’s International Realty, “We are doing more deals of between Dh10 million to Dh100 million than ever this year. “There are many factors at work, but the Brexit issue is helping British investors to move their wealth into Dubai … and they come looking for expensive properties. They are not looking for anything less than Dh20 million per property. A lot of German money too is moving here. Azar says that in the high-end space, his firm has been doing transactions of an average Dh15 million compared with Dh8 million on average last year. All these deals involved overseas buyers. But for properties valued at Dh1 million to Dh5 million, Gulf Sotheby’s sales are down by 50 per cent. The three top investor destinations for the luxury-seeking investor/end-user are Emirates Hills, the Palm and Al Barari. “Another area where the high-end deals are taking place are for plots at La Mer,” said Azar. “These are for mansions the buyers will build subsequently. Outside of Emirates Hills and the Palm, Ghai also finds Al Barari finding traction with buyers. “Al Barari has been standout busy for both new and existing builds during 2018,” she added. “It will be interesting to watch trends unfold in various prime communities over the next 12 months, as there will likely be an increase in pace of sales. This would radiate through all secondary prime communities. 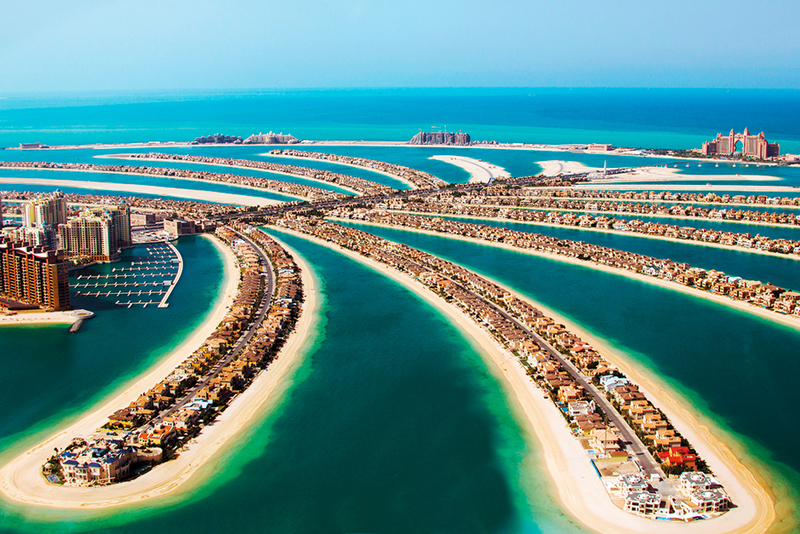 Off the Dubai shores, homes on Bluewaters island are scoring with buyers. Fifty per cent of the inventory at Bluewaters has been marked for bulk sales for short-term holiday homes. Recently, fäm Properties topped the Dh200 million mark from sales of units at Bluewaters.